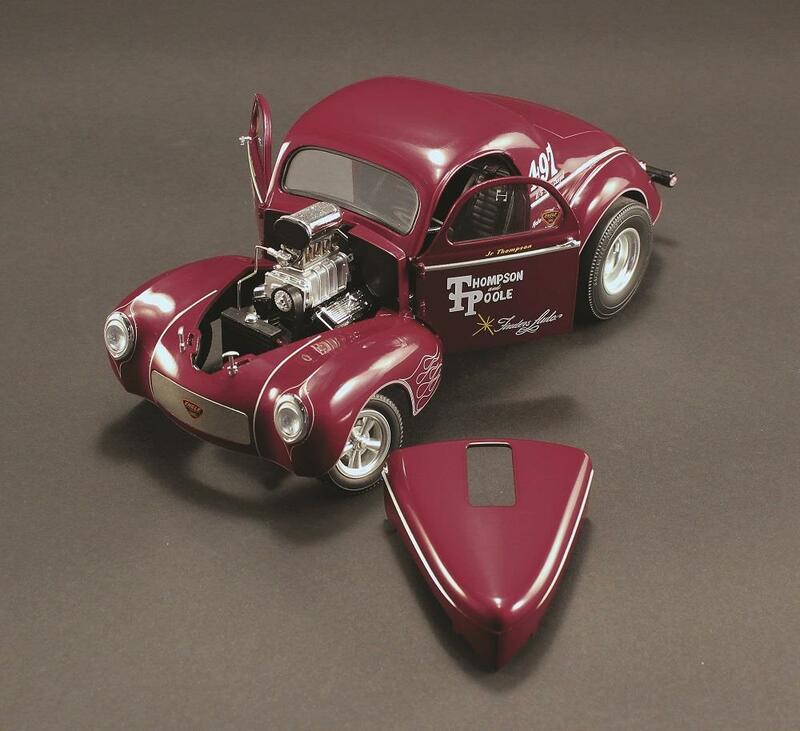 ACME Diecast Jr. Thompson & Poole 1941 Willys Gasser Burgundy 1:18 Scale Replica Model A1800909 - Free Shipping over $99 at California Car Cover Co.
Gassers were the real “Hot Rods” of drag racing, and one of the fastest and most feared was Jr. Thompson’s 1941 Willys. 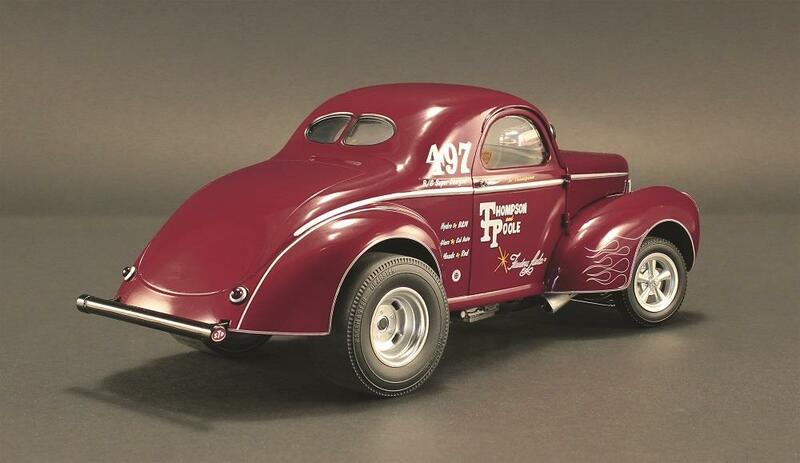 In 1962, Thompson teamed with Chuck Poole to set the national record in their class, and Thompson held that record in two additional racing classes. 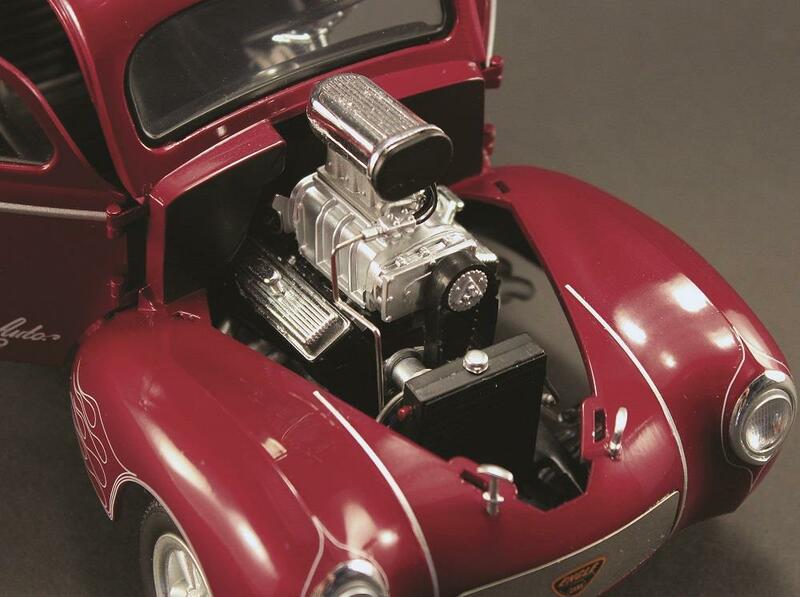 The 1941 Willys Gasser was powered by a blown small block Chevy, and this 1:18 scale replica is a highly detailed version of that original drag car, right down to the plumbed and wired engine compartment and race day graphics. 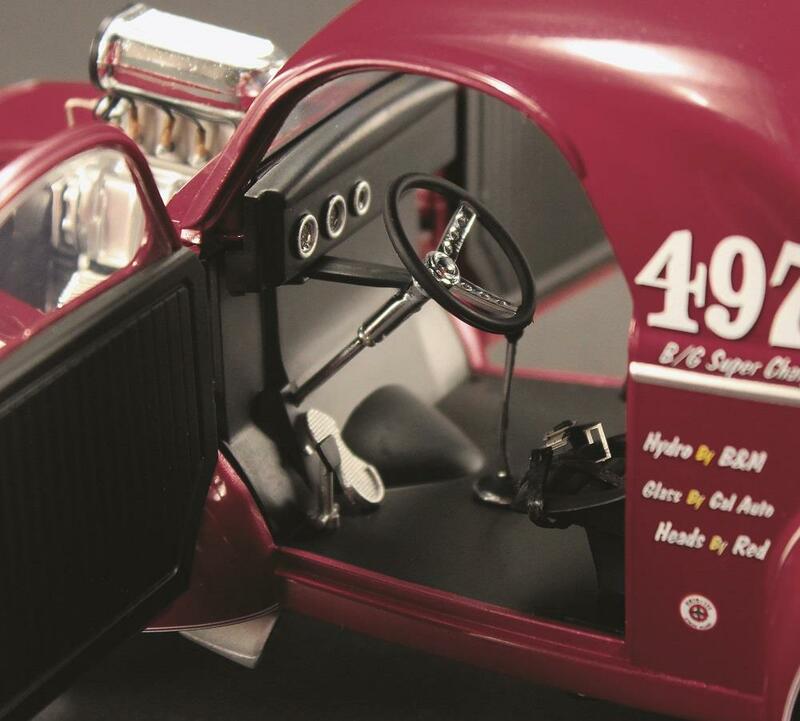 The lift-off hood allows for full inspection of the engine, and the opening doors allow a peak at the interior. Limited edition.